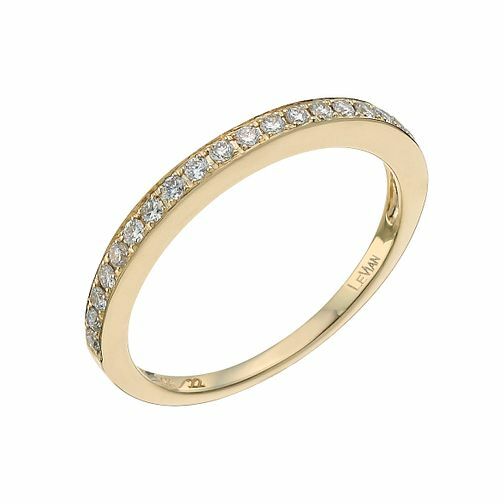 A classic 14ct Honey Gold diamond band by Le Vian, adorned with exquisite Vanilla Diamonds. A timeless diamond band which be worn as part of a stunning Le Vian bridal set. Find the perfect partner with Le Vian's suggested matching engagement rings. Matching Engagement Ring: 9758038. Le Vian 14ct Honey Gold diamond band is rated 5.0 out of 5 by 1. Rated 5 out of 5 by Anonymous from Really Gorgeous This ring is lovely. It is much daintier than in the picture and not as chunky as some of the Le Vian rings.You can really see the stones and it sits well with my engagement ring.